ENGIE, the energy and services group, has been commissioned by West Yorkshire Combined Authority to provide a new network of at least 88 rapid electric vehicle charging points across the region. Cllr Kim Groves, Chair of the West Yorkshire Combined Authority Transport Committee, said: “Improving air quality across West Yorkshire and Leeds City Region while at the same time developing the transport networks vital to supporting inclusive growth is one of the Combined Authority’s key aims and this work will help us achieve that. Wilfrid Petrie, CEO of ENGIE UK and Ireland said: “ENGIE is committed to improving the lives of people in cities and urban areas by tackling air pollution and we believe the provision of rapid electric vehicle charge points across the West Yorkshire region will help encourage more people to choose a low emission vehicle. 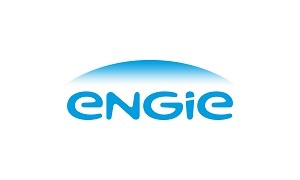 “The provision of green mobility solutions is part of ENGIE’s wider strategy to combine our capabilities to assist local authorities and other public sector customers with placemaking - working alongside them to shape the future use of their estates and public spaces.